Welcome to ACE-IT in College – an inclusive college experience for students with intellectual disabilities! Our program provides postsecondary education opportunities for students with intellectual disabilities. Students who are accepted into the program audit two to three VCU classes per semester. In the program's first semester, students take UNIV 101: Introduction to the University, a freshman transition class, for credit. Along with classes, students participate in a variety of campus activities and work experiences. 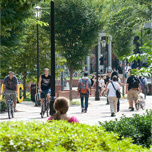 The fully inclusive, individualized model used by VCU ACE-IT in College is unique. With the support of an advisor, ACE-IT in College students enroll in existing college classes based on career and personal interests. 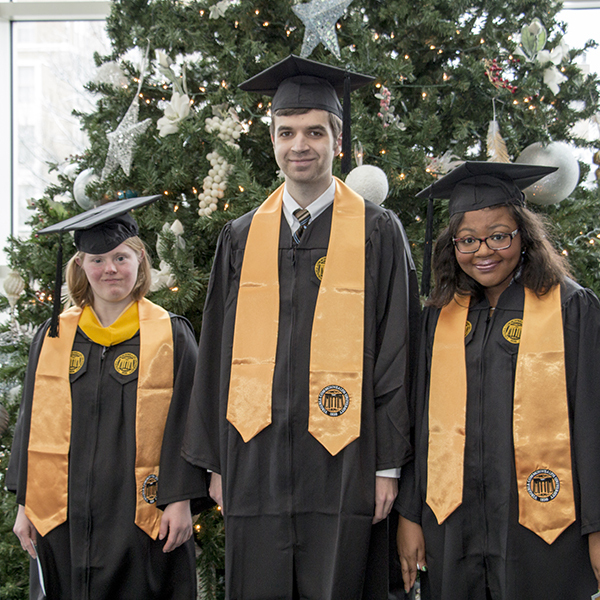 Students who successfully complete the 20+ credit program receive a VCU School of Education Certificate. To ensure success, students can access an array of supports. One key feature is an education coach for each student. 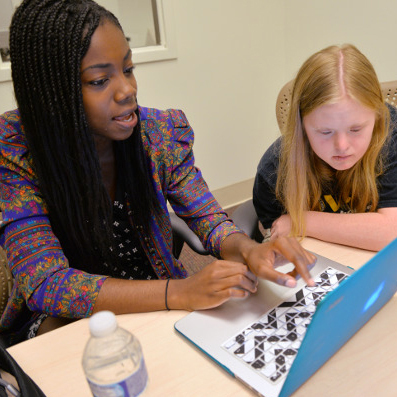 Education coaches are trained VCU students who provide support in and out of the classroom. ACE-IT in College students are encouraged to participate in the social aspects of college through student organizations, campus activities, and service. While in the program, students participate in work experiences and internships with the assistance of a job coach. The ultimate goal of ACE-IT in College is competitive employment in the students’ interest areas. All individuals have the potential for success. ACE-IT in College students are not limited based on the type of high school diplomas earned. The program strives to provide an inclusive postsecondary education experience, life-long learning, and career development. 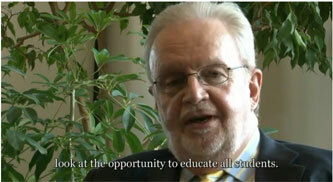 Postsecondary education prepares students for 21st century life and careers. ACE-IT in College began in 2001 with the implementation of a supported education program for VCU college students with learning disabilities. The project expanded to students with traumatic brain injuries, students with autism, and veterans with traumatic brain injuries, spinal cord injuries, or post traumatic stress disorder. 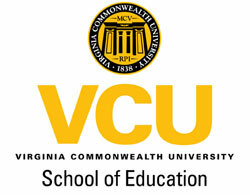 In 2010, Virginia Commonwealth University was one of 27 universities across the U.S. to receive funding for a five year demonstration grant from the US Department of Education, Office of Postsecondary Education. Virginia Commonwealth University is an equal opportunity/affirmative action institution providing access to education and employment without regard to age, race, color, national origin, gender, religion, sexual orientation, veteran's status, political affiliation or disability. These materials were developed through a grant funded by the U.S. Department of Education Office of Postsecondary Education, grant #881-APE62524-H027A170107.